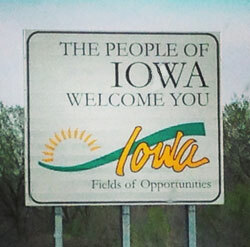 You’ll certainly see a lot of farms and corn fields on a road trip through Iowa. But look carefully and you’ll also discover some stops that can make your kids’ dreams come true. What kid wouldn’t dream of visiting the Ice Cream Capital of the World? At the grand, two-floor Blue Bunny Ice Cream Parlor in Le Mars, Iowa, kids dig into amazing treats like the Avalanche or the Kryptonite Cream Sundae while learning about the history of ice cream in the region. And if you visit the 3rd week in June, you can celebrate their Ice Cream Days Festival. Don’t stay at just any hotel in Iowa. Experience the enchantment of the Hotel Pattee in Perry. Just outside of Des Moines, this hotel is unlike any I’ve ever visited. 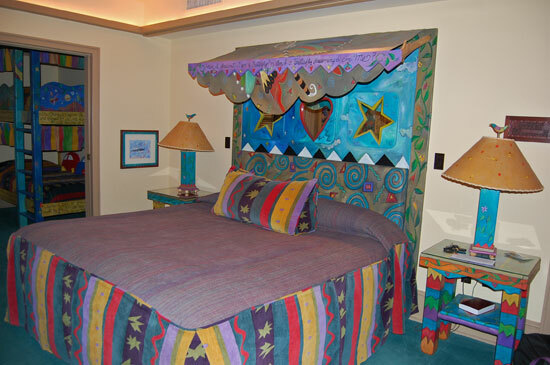 With 40 individually decorated rooms, you can choose from themes like the American Indian room, the Japanese room, the Louis Armstrong room, the Quilting room, or the King’s Daughter’s room. We stayed in the David Ahmanson Suite for Kids, which can only be described as magical. 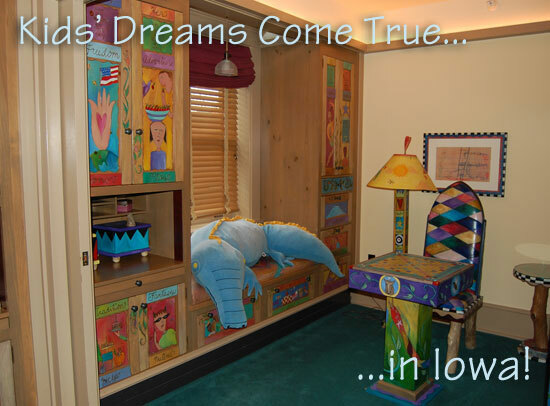 Bright, colorful, and whimsical, the suite includes a fairy tale bed, stuffed animals, games, and a huge jetted tub. Hotel Pattee has a spectacular restaurant and bakery (don’t leave without getting a “Pattee Cake” cupcake! ), as well as a beautiful spa and a cool, two-lane bowling alley with an old-time feel. After dinner and exploring the hotel, we headed back to our room and found trays of warm cookies on the table in the hallway. We took some cookies to our suite and my daughter promptly climbed into the jetted tub for a soak and a snack, while my husband and son played chess. Yes, dreams do come true at the Hotel Pattee. Traveling east on I-80, hold your bathroom break until Exit 284 where you’ll find the Iowa 80 Truckstop – the world’s largest truckstop. It offers a 300-seat restaurant, a Super Truck Showroom, a workout room, a dentist, a barber shop, a food court, gift shop, and more. They serve over 2 million cups of coffee per year! For some historical perspective, drive 20 miles north on Route 61 through rolling countryside to Long Grove, Iowa, and the Dan Nagle Walnut Grove Pioneer Village. Not to be confused with the “Little House on the Prairie” Walnut Grove, any fan of the Little House series will enjoy touring this ever-expanding glimpse into pioneer life. The late 1800s crossroads settlement originally included a post office, blacksmith, school, and a few log cabins. Today, it boasts 18 historic buildings from nearby sites. Our tour guide took us back in time, showing the kids the one-room schoolhouse (in use until 1968!) 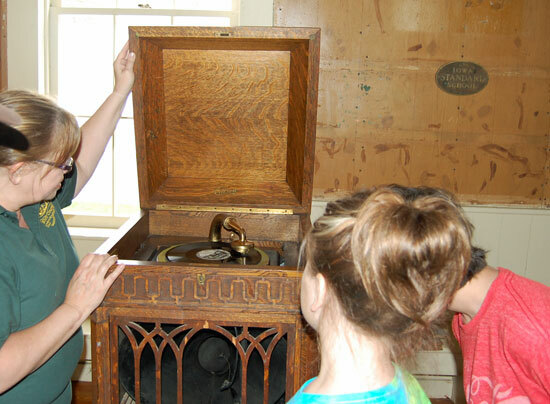 and playing a record on an original, Edison 1820 crank phonograph. That alone was eye-opening for my kids, who had never seen a vinyl record before! We explored antique farm machinery, doctor and dentist tools, and print shop relics, as well as a church, telephone office, firehouse, jail, apothecary, train depot, and general store. At the end of our tour, we learned even more from our tour guide, chatting over homemade root beer floats and egg creams. 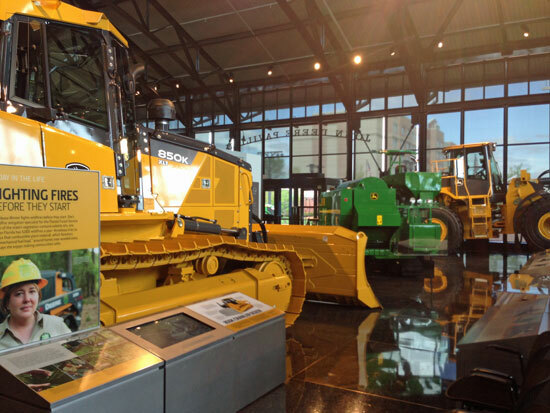 Our next dream-come-true stop was the John Deere Pavilion in Moline, Ill. 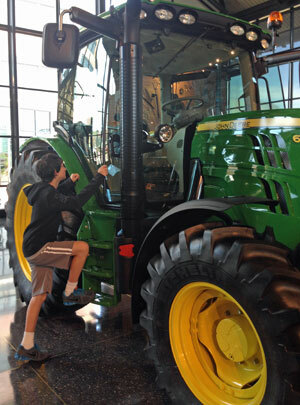 Even though my son is 15, the thrill of climbing in humongous tractors and testing his skills in real-life farming simulations was not gone. Confession: I didn’t think I’d get much out of the John Deere Pavilion, but it was one of my favorite stops. I learned a lot about farming technology and was extremely impressed with their interactive exhibits that engage all ages. Moline is part of the Quad Cities region on the Mississippi River. I recommend the Stoney Creek Hotel for its charm, comfort, and ideal location – within walking distance to the John Deere Pavilion and several excellent restaurants like the River House Bar & Grille. Try their “Holiday Stuffed Bites” – delicious deep fried bites of mashed potato, stuffing, and turkey! Disclosure: To facilitate my research for this article, part of my trip was hosted by the Quad Cities CVB and Travel Iowa. All opinions are my own. I would love the themed rooms but I don’t know which one I would choose. Maybe they would allow me to switch rooms nightly. That would be my plan if I went back, Liz! Glad to see it isn’t all cornfields! I’ve driven across Kansas but not Iowa and that trip felt endless. I saw on another blog recently that you can visit the Field of Dreams set — that seems magical too! 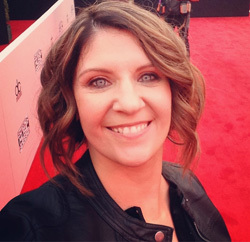 I’d love to see the Field of Dreams set, Tamara. Kansas has a lot of good stuff, too — some states you have to really search for it though! LeMars is such a fabulous visit… It’s small town Iowa at its best. And the Hotel Pattee…. amazing! I’ve stayed in the Irish Room and the Green Suite- both wonderful! As for “Little House” – the Ingalls family lived in Burr Oak, Iowa for one year (it wasn’t a good experience and didn’t make the children’s series, though it is part of ‘Pioneer Girl’, LIW’s first book which was requected by publishers but is being released soon). And, finally, yes, you can visit – and play baseball- at the Field of Dreams site. You can actually play baseball at the Field of Dreams? The guys in my family would love that! The Quad Cities is definitely one of the best areas of Iowa – lots to do there! What fun! I can’t believe there is a truck stop with a dentist in it! Very helpful for the truckers, though. 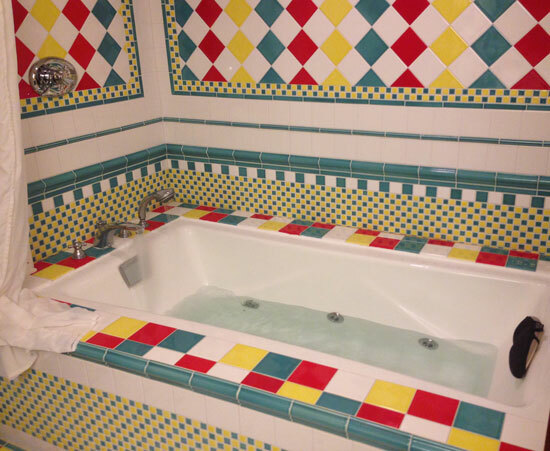 Oh my goodness – what a fun hotel! I am pretty sure our kids would go nuts here. Love all the bright colors and the attention to detail – so fun! What a great family friendly vacation destination! Those themed rooms will definitely enjoyed by the kids.